Safely Driving Early In The Morning - Triangle-J, Inc.
As a truck driver, you may be working varying hours; early mornings, late nights, even overnights. If you’re not used to these types of hours, you may not be well-versed in common ways truckers handle such a schedule. One of the more frequent hauls you may be asked on is a morning one. 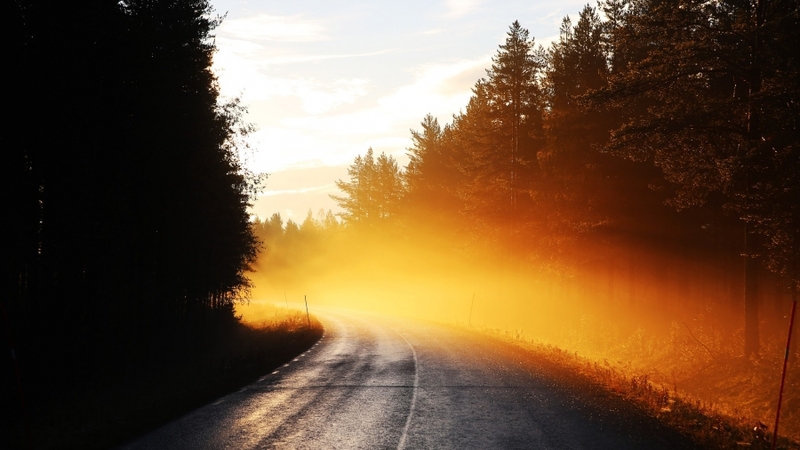 Let’s look at some ways you can stay safe and efficient on those early morning drives. During sunrise, the light can be blinding. If you’re heading east, the sun will be directly in your face during the drive. Even if you’re not driving directly towards the sun, you’re likely to get some glare from the rays anyway. Be sure to have a pair of sunglasses handy and ensure your sun visor is in the optimal position. Also, use caution and be very aware of your surroundings. Keep track of the vehicles around you even more so than you would during other times of the day, although you should always be aware of your blind spots and other drivers. Depending on how early in the morning you’re heading out, you might be a little tired. If you’re not used to an early morning schedule, you might not be as awake as you need to be on those morning hauls. Consider caffeine drinks like coffee or energy drinks to wake you up and keep you alert. Adjust your sleep schedule so that you’ll get the same amount of sleep and wake up earlier for your route. A confident driver is one who knows the roads he or she is driving on. If you’re getting started before the sun rises, drive the route during the day a few times to get a feel for the roads and its surroundings. This way, as you drive in the early morning, you’ll know exactly where you’re going. The main tip we want to bestow on you today is to be safe. Be aware of your surroundings and look out for any danger that may present itself.